At a glance, the windswept seaside communities of Reussenköge and Waabs in Germany’s northernmost state of Schleswig-Holstein, a neck of territory that connects Germany to Denmark, share much in terms of pedigree and character. They’re both located in history-rich, sparsely populated old maritime areas that once boasted hinterlands of manor estates with dairy farms and sprawling root vegetable plantations. Today, Waabs on the eastern seaboard facing the Baltic Sea works as a tranquil seaside vacation spot that attracts summer tourists from across Germany and Denmark. In the off-season, the cobblestone streets are quiet, the souvenir shops and most B&Bs shuttered. Bucolic Reussenköge in the west, about 85 kilometers across the isthmus, also depends on tourism, luring visitors intrigued by the expansive mudflats of the Wadden Sea. Despite the similarities, they are poles apart when it comes to embracing wind power. Reussenköge hosts one of Germany’s largest and densest wind power parks: Bürgerwindpark Reussenköge. It boasts 86 turbines, each one substantially taller than the Statue of Liberty and her pedestal, many of them spaced less than half a kilometer from one another. The wind park and those on either side of it in neighboring districts cut a broad swath through marshy, long-ago-reclaimed lowlands. Their soaring turbines, 150 meters from base to blade tip, crowd the skyline for kilometers in every direction, right up to the Danish border. After sunset, blinking red lights atop the masts, required to warn off planes and helicopters, turn the farmland below into an eerie nightscape reminiscent of a Blade Runner set. Almost all of Reussenköge’s 325 or so residents are shareholders in the collectively owned wind park—the remaining few are mostly older people and children. This arrangement has made the residents wealthy and vocal supporters of wind power, and desirous of more of it. In Waabs, on the other hand, though nearly as blustery a station, there’s just a single turbine. It stands near the community’s border, beside five others planted within the boundaries of the next district—all six evoke disdain. Unlike in Reussenköge, the community has no ownership over the turbines; they belong to a private, out-of-town developer. “At first, we said, ‘okay, one or even six, that’s okay’,” explains Heiko Starck, a local businessman and organizer of Waabs’s anti–wind power initiative. “After all, this is a new epoch and the Energiewende is part of it,” he says, referring to Germany’s effort to transition to renewable energy sources by 2050. But many more are coming. And that, he says, is a problem. Wind-buffeted little Schleswig-Holstein, a state smaller than the Italian island of Sicily, is one of Germany’s wind-power dynamos and central to pulling off the Energiewende (literally “energy transition”), which aims to decarbonize Germany’s economy by relying predominantly on wind power, as well as energy derived from solar, biomass, and hydro. Schleswig-Holstein’s onshore wind turbines produced a whopping 11.3 million kilowatt-hours of power in 2017, and offshore turbines supplied an additional 6.9 million kilowatt-hours: enough to supply 5.2 million homes. The state restricts turbines to two percent of its landmass, in areas recently designated as priority wind power zones—areas that include both Waabs and Reussenköge. To ratchet up onshore capacity by three more gigawatts by 2025, Germany’s northernmost state intends to add roughly 1,500 new onshore turbines, most of them 200 meters tall (as high as the 58-story Trump Tower in New York City) to 2,100 existing turbines, many of which will be upgraded with advanced turbine mechanics. Transmission grids that are still under construction will transport the power to Germany’s energy-hungry cities in the industrial south. At the same time, 1,000 existing turbines that stand outside the priority areas or have reached the end of their life span will be decommissioned. Nimbyism—the Not In My Backyard phenomenon—is only going to grow as the Energiewende advances, predicts Rosenkranz. Today, Germany generates an impressive 40 percent of its electricity with renewables, the rest primarily with coal, nuclear power, and natural gas; but the country’s goal is 80 percent, at the very least. Its plans also include measures to save energy through the use of efficient electric vehicles and improvements in heating systems for buildings. In those sectors, “we’re still at the beginning,” Rosenkranz intones. Efforts to win the public’s support for new infrastructure is thus a top priority, so much so that methodology for garnering acceptance has become something of a fledgling science. Institutes, government agencies, universities, and the renewable energy industry are all in the thick of research and watch communities like Waabs and Reussenköge closely to see what works or doesn’t—and why. Had policymakers followed developments in the likes of Waabs a little more closely, they might have sensed trouble brewing. Had they absorbed lessons from Reussenköge and elsewhere early on, they might have headed it off. From a roost atop Dirk Ketelsen’s simple, two-story office building, the engineer looks out over the vast territory of Bürgerwindpark Reussenköge as the turbines gently ply the air. In the other direction, the placid North Sea stretches beyond the Wadden Sea tidal flats as far as one can see. The rangy, plain-spoken man in brown engineer overalls is one of the founders and the director of Bürgerwindpark Reussenköge. He started his foray into wind power with a single turbine in his backyard in 1989. He and his neighbors then invested in handfuls of new turbines at a time until the park, which merged with several smaller parks, took on its current dimensions in 2015. Ketelsen’s own company, Dirkshof, which employs a small team of engineers and developers, has since midwifed another eight citizen-owned wind parks, including one in France. In the control room below us, one wall is lined with monitor screens that show each of the citizen parks’ weather conditions, turbine speed, and power production. 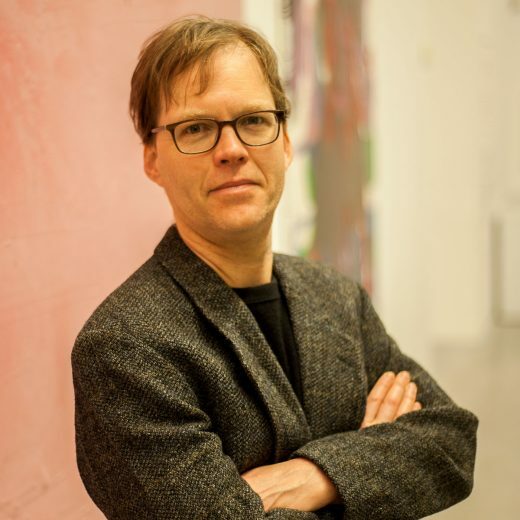 In the early 1990s, Ketelsen and his fellow burghers were early participants in a groundswell of interest in clean tech that eventually coalesced into the Energiewende. Even though the transition to renewables is now state orchestrated, innovation and investment are still coming from below, from communities such as Reussenköge. Bürgerwindpark Reussenköge experiments with the latest clean tech to enhance the park, including giant batteries, smart minigrids, and devices to protect bird populations from propellers. Ketelsen is also investing in concentrated solar energy systems and hydrogen production. Despite the forest of turbines that tower overhead, the folks of Reussenköge have not fled their handsome, upscaled farmhouses, and seem unbothered by the litany of health problems that turbine detractors complain about. Because Bürgerwindpark is a collective, every shareholder has a voice in the enterprise according to the volume of shares owned. An annually elected board, led by Ketelsen, runs the daily operation. Testimony to Bürgerwindpark’s financial success, Reussenköge has the highest per capita income in all of Schleswig-Holstein’s 1,116 municipalities. “We do everything to make the park compatible with the environment and the people who live here,” says Ketelsen. “We need them on our side, not attacking us at every turn, or nothing will get done.” The blinking red lights at night, he admits, can grate; they even draw complaints from the North Sea islands 15 kilometers off the coast. But new technology is expected to soon make the all-night lighting obsolete. An aviation warning system, which Dirkshof developed jointly with the Fraunhofer Institute for High Frequency Physics and Radar Techniques, relies on television and radio waves to detect approaching aircraft. It flashes on only when aircraft approach the park. A fifth of Reussenköge’s turbines already have the breadbox-size tech strapped on their masts. The west coast’s wind parks haven’t scared away tourists, either, as critics in Waabs fear could happen in their community. Tourists flock to the North Sea for, among other pleasures, hikes across the coastal mudflats. Over the past 15 years, the number of overnights booked at hotels along the west coast has only climbed. “Lots of tourists ask us about the windmills,” says Bente Hansen, a waitress at Hotel Ulmenhof near Reussenköge, referring to the turbines. “I say they don’t bother me, they’re like part of the landscape now.” And the tourists return, she says. For Ketelsen, the way to expand wind power across Germany, and elsewhere in the world, is self-evident from the example of Reussenköge: citizen involvement in planning and ownership. “The locals have to profit from renewable energy, not the big utilities and profit-minded developers. Nobody likes being dictated to,” says Ketelsen. Without broad public acceptance, such projects are doomed, he says. The winds of technological change are blasting toward Waabs, whether residents like it or not. 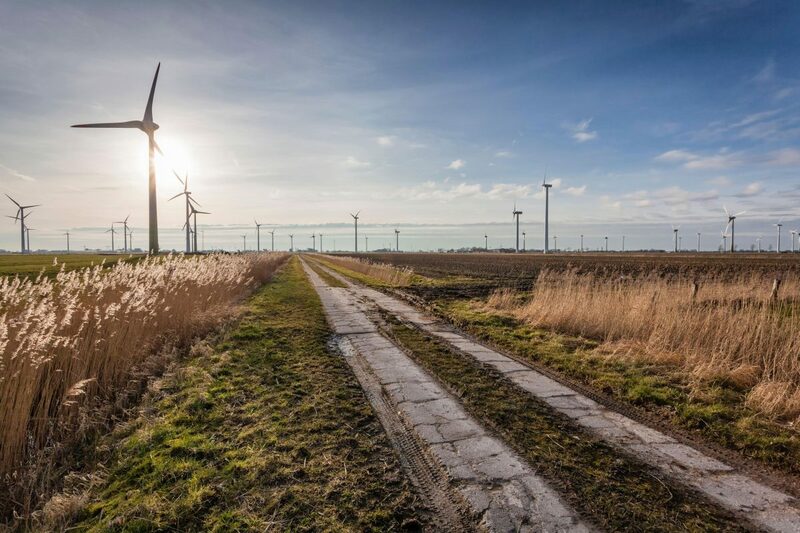 While establishing the priority zones, Schleswig-Holstein’s authorities painstakingly scoured the state’s coasts, inland farmlands, and urban suburbs to find suitable locations for wind power development and approved 22 new turbines for Waabs—all will be privately owned. Just about everyone in Waabs, with the notable exception of the handful of farmers who will lease plots to the developers, oppose the construction, which is scheduled to begin this spring. “The state says that local communities must be consulted on turbine development, and we were, but our refusal obviously didn’t carry any weight,” says Starck, the community’s lead wind-power opponent. He notes that, according to new law, even if a majority of locals oppose a wind power development in designated priority zones that’s not enough to legally thwart it. Today, the population of about 1,400 has little but tourism to live off, says Starck, noting that the rolling hills behind the rocky beaches and glacier-carved limestone cliffs draw legions of cyclists in summer months, causing Waabs’s populace to swell tenfold. The new parks, Starck claims, will turn verdant fields and country forests into eyesores, as well as a graveyard of dead sea eagles, red kites, and bats. In his urban jeep, Starck drives me along old country roads to the existing turbines and the sites of those soon to come. “You’d see them from everywhere in the municipality,” he says, pausing to let me take in the gentle lay of the land. Even on a drizzly, autumn morning, the tranquil downs, dotted with piles of stones cloaked by long weeds where farmhouses once stood, project a meditative calm. The farmers, he fumes, will bank €50,000 (US $56,600) a year in rent per turbine, while most of the tax revenue from energy generation will benefit the cities where the developers’ firms are based, rather than Waabs. “We’re going to pay a high price for something that most of us, in turn, get absolutely nothing from,” says Starck. Waabs’s residents charge that wind turbines pose critical health hazards, including psychological stress, headaches, nausea, sleeplessness, and even vomiting. It’s an argument shared by the hundreds of anti-wind power organizations that have mushroomed across the country. The turbines’ monotonous swishing noise causes acute insomnia, explains Susanne Kirchhof, head of an NGO whose name translates to For Humans and Nature Against Wind Schleswig-Holstein. Even though the Schleswig-Holstein legislature recently passed laws distancing the giant turbines at least a kilometer from townships and 500 meters from dwellings of any size, Kirchhof points to scientific studies that underscore the menace of wind turbines’ constant noise, as well as inaudible resonant vibrations. “The low-frequency vibrations drive people crazy,” she says, explaining that the infrasonic sound, even though it can’t be heard, vibrates in the inner ear, disturbing balance and the nervous system. She claims Germany’s political class refuses to take the studies seriously. “The planners and the politicians just look at maps, not the people who live there,” she says. 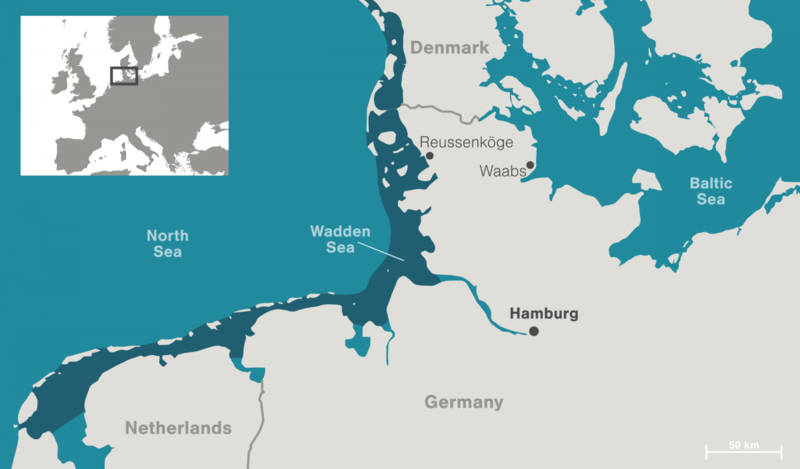 People from Waabs and other small communities in the state have staged numerous protests at the legislature in Kiel, Schleswig-Holstein’s port capital, over the turbines planned for their townships and suburbs. A lawyer is pursuing options to forestall digging in Waabs. The anti-wind municipalities have collectively gathered tens of thousands of signatures demanding that communities have a voice that counts in zoning plans for new parks. 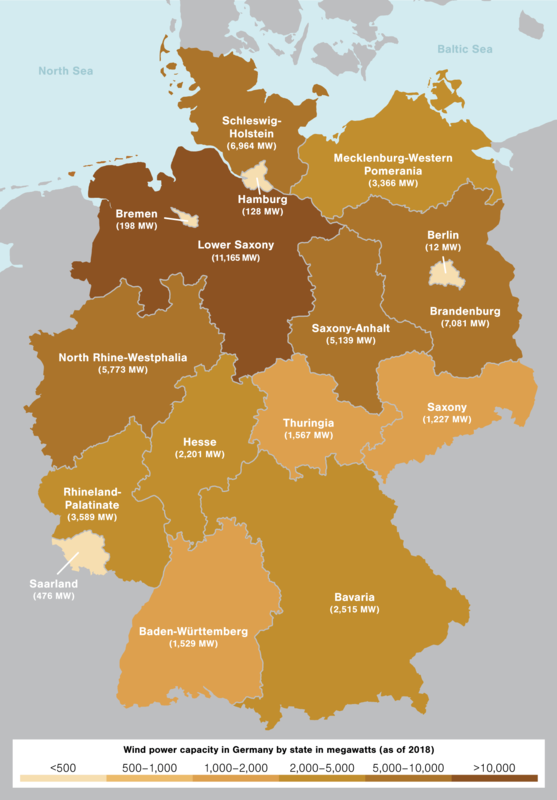 They demand that Schleswig-Holstein adopt Bavaria’s criteria, namely that large turbines lie two kilometers or more from population centers. “It’s not that we’re against the Energiewende,” says Starck. “It’s just that onshore wind simply isn’t necessary. Offshore wind and solar power can be ramped up more than enough to make onshore wind power redundant.” But the state’s evaluators found this contention and the municipality’s other arguments unconvincing. Would the possibility to invest in the new wind parks win over the commoners of Waabs? Starck, a well-off salesman, says no, but he can’t speak for his neighbors. Rosenkranz of Agora Energiewende says that, according to research, development projects with a citizen ownership model are usually embraced in economically sound localities. Yet in poorer regions, such as several in eastern Germany where many people lack the investment capital they would need to become shareholders, a citizen ownership model can exacerbate tensions. In such situations, Rosenkranz argues, it’s preferable that the developer or collective funnels profits from a development project into a municipality’s coffers or into a communal fund that invests directly in public goods, such as a kindergarten or swimming pool, rather than paying out shareholders. When that happens, “the majority can usually be convinced to drop their objections,” he says, noting that about seven percent of people remain opposed to development projects no matter what. Since wind power’s boom in Germany began in the early 2000s, technological innovations have eradicated one bugbear after another. When the sun is low, for example, the massive propeller blades can cast long, flickering shadows on nearby housing, a form of visual pollution that disturbs residents. But that grievance was resolved when a Danish wind power company invented built-in sensors that monitor the sun’s intensity and path to determine when shadow flicker is likely and automatically stop the turbine until the threat is gone. State-of-the-art propeller design has also cut noise substantially (I detected none at all 100 meters from the turbines), and fresh innovations could bring it down further. In Reussenköge, nine turbines are switched off every day at times when birds, such as the sea eagle, tend to fly through the park’s airspace. A pilot radar system for detecting bird movement in the park’s vicinity will be tested in spring 2019. In the age of advanced global warming, the expansion of renewable energy is an imperative that trumps other interests. In order for Germany to meet its ambitious climate goals, energy experts argue that the country will have to double or even triple its land-based wind power fleet, in addition to expanding other renewable energy sources. As with any societal and technological changes, there will always be resisters. 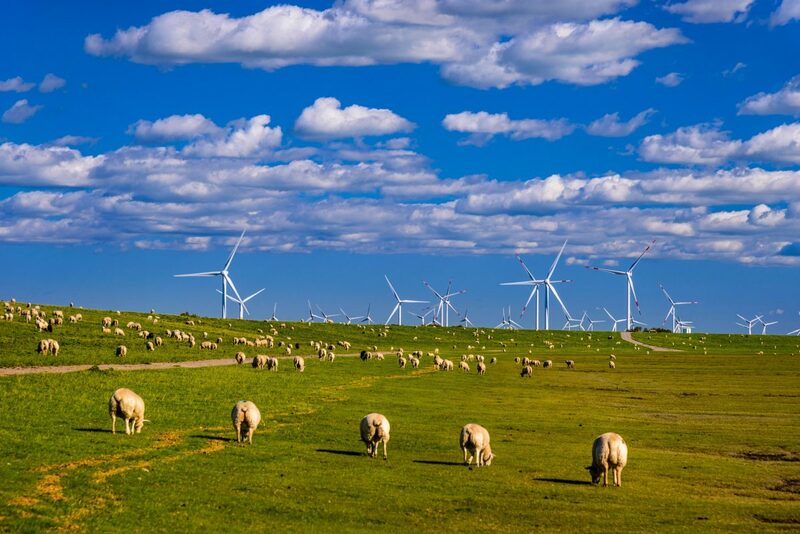 What the experiences in Waabs and Reussenköge reveal is that better technology and incentives go a long way to winning community acceptance of wind turbines. Cite this Article: Paul Hockenos “Germany’s Winds of Change,” Hakai Magazine, Apr 2, 2019, accessed April 23rd, 2019, https://www.hakaimagazine.com/features/germanys-winds-of-change/.